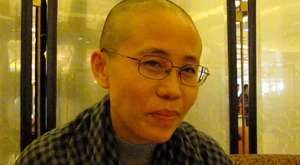 Poet and writer Liu Xia has been held virtually incommunicado under extralegal house arrest since her husband, Liu Xiaobo, won the Nobel Peace Prize in October 2010. When her husband was diagnosed with late-stage liver cancer in June 2017 and released on medical parole, Liu Xia was reportedly able to visit him. After his death in July 2017, she was put under house arrest and was unable to leave the country. After Germany’s long campaign to free Liu Xia, on July 10, 2018, Liu Xia was released and fled to Germany. Liu Xia, poet, artist, and founding member of the Independent Chinese PEN Center (ICPC) was married to the imprisoned poet, literary critic, and former ICPC President, Liu Xiaobo. Liu Xia has been under extralegal house arrest ever since her late husband won the Nobel Peace Prize in October 2010. Authorities severely limited her access to communications tools and in-person visits from friends and relatives. Over the past several years Liu has suffered from insomnia, depression, and heart trouble. She has only occasionally been able to receive medical attention. Following her husband’s diagnosis of late-stage liver cancer and release on medical parole, Liu Xia was reportedly allowed to visit him for the first time in several years. After his death, she was put under house arrest and only appeared in public in a one minute video uploaded to YouTube in August 2017 that her supporters believe represents a coerced appearance and statement. On July 10, 2018, Liu Xia was released and fled to Germany, after a long diplomatic campaign by the Germany government. July 10, 2018: After having been under house arrest for almost 8 years, Liu Xia leaves China and boards a plane to Europe. Prior to her release, the German government had been working on a diplomatic campaign to allow Liu Xia to leave the country. Following her release from house arrest, Liu Xia flies to Helsinki, Finland; her final destination is Germany. The day before her release, the European Union and Chinese officials were engaged in a human rights discourse. Next week, the annual summit meeting is scheduled between China and the European Union. May 2, 2018: Liao Yiwu, a friend of Liu Xia, releases a phone recording of a conversation he had with Liu Xia. In the recording, Liu Xia pleads through sobs to leave China—further amplifying the injustice of her house arrest and inability to leave to the country. Additionally, Liao Yiwu also releases an essay that details the circumstances of the call and chronicles the unsuccessful efforts made thus far for her release. He states that though “in early April the German Foreign Minister had already made specific arrangements, including as to how they’d not alert the news media, how they’d covertly collect Liu Xia at the airport, and how they’d arrange her treatment and recovery and more,” these attempts have not yet come to fruition. September 2017: A human rights activist based in Hong Kong speaks with Liu Xia for approximately thirty minutes, while a friend of hers states that he was able to speak to her for only a few seconds. Other than these disparate incidents, Liu Xia continues to be denied contact from the outside world. August 2017: A roughly one-minute video of Liu Xia is uploaded to YouTube, marking her first appearance since the funeral of her husband. In the video Liu Xia speaks directly to the camera, stating that “I am outside recuperating, everyone please grant me time to mourn, time for my heart to heal and one day I will be able to face you all in a healthy state.” The video’s structure and content fit squarely within the pattern of Chinese propaganda videos in which individuals give coerced statements that promote the party narratives, and several of those close to Liu Xia have concluded that it is unlikely she made these comments of her own free will. June 2017: On June 26, Liu Xiaobo is released on medical parole to a hospital in Shenyang, Liaoning province, following a diagnosis of late-stage liver cancer. Authorities place restrictions on access to him but permitted both his wife, Liu Xia, and his family to visit him. January 2014: Liu Xia is rushed to hospital in Beijing after suffering myocardial ischemia (lack of blood flow to the heart). She returns for further tests in early February but is discharged the following day, under the recommendation that she receive specialist medical care. Her phone line is reconnected to enable access to emergency medical help. When pressed, the Chinese government continues to deny that Liu Xia is living under any form of confinement or house arrest and suggested that those who wanted to talk to her could do so. Still, reporters, diplomats, and citizens are stopped by guards at the gates of her apartment complex and denied entry. Liu Xia remains under extralegal house arrest without access to phone, Internet, or post. Many who have attempted to visit her have been detained. December 2012: A handful of Liu Xia’s friends push past security and are able to visit with her for several minutes. Friend and fellow activist Hu Jia records the visit. Liu Xia can at times be seen smiling—perhaps at the mere fact that she was finally able to embrace one or two of her friends, whom she hadn’t seen in more than two years—and at times crying, terrified of any repercussions she and her family might face because of the breach. Liu Xia is completely incommunicado until December 6, 2012, when two AP journalists manage to get past security guards and make a brief visit to the poet in her home. Video shot by the reports shows a shaken and at times overwhelmed figure who can hardly believe she is face to face with visitors. During the subsequent interview, Liu Xia reveals that she had been barred from visiting Liu Xiaobo in prison for a year after the Nobel announcement, but she was finally allowed to visit Jinzhou Prison, some 280 miles away, once a month. Still deprived of phone and Internet, she remains cut off from the outside world but for weekly visits with her parents and trips to buy groceries. October 2010: Norwegian Nobel Committee Chairman Thorbjørn Jagland announces from Oslo that Liu Xiaobo is to receive the 2010 Nobel Peace Prize “for his long and nonviolent struggle for human rights in China.” In the hours following the announcement, reporters descend on Liu Xia’s apartment complex in Beijing, and she states that she plans to give a press conference. Police move quickly to set up a roadblock at the entrance to the complex, but she is able to give short telephone interviews for several hours. In some of these interviews, she warns that an official promise to bring her to Liu Xiaobo in Jinzhou Prison, so that she can deliver news of the award, has an ulterior motive: “They want to distance me from the media,” she tells Reuters shortly before her phone went dead. Liu Xia’s Internet and phone lines are cut, and friends and family are barred from visiting her, rendering her incommunicado. She is not permitted to fly to Oslo for the December 10 Nobel award ceremony.